“Surely my Lord does not do anything unless he has revealed his secret to his servants the prophets. A lion has roared! Who is not afraid? My Lord Yahweh has spoken, who will not prophesy? Proclaim to the citadel fortresses in Ashdod and the citadel fortresses in the land of Egypt and say: ‘Gather on the mountains of Samaria and see the great panic in her midst and the oppression in her midst!’ ” (Amos 3:7–9). It’s easy to make excuses when we don’t know or understand something, and it’s equally hard to admit why. Amos declares that God’s plan and His work in the world are known to us—if we wish to learn. If we’re honest with ourselves, we have to admit that we’re not trying hard enough to learn about Him and His work. God speaks through His prophets and through His Word in the Bible, so there is no reason for us to be unaware of how He is working and how He wants to use us in the process. What was true for the OT prophets was also true for the apostles. Through Philip, we see how God intimately involves people in His work. An angel tells Philip, “Get up and go toward the south on the road that goes down from Jerusalem to Gaza” (Acts 8:26). It took great faith for Philip to do as the angel instructed. The last part of verse 26 adds, “This is a desert place.” Few people have encountered an angel, as Philip did, but each of us has the opportunity to experience direction from our Lord. If we ask, God will answer. If we seek to learn how God is speaking, our path will become clear. 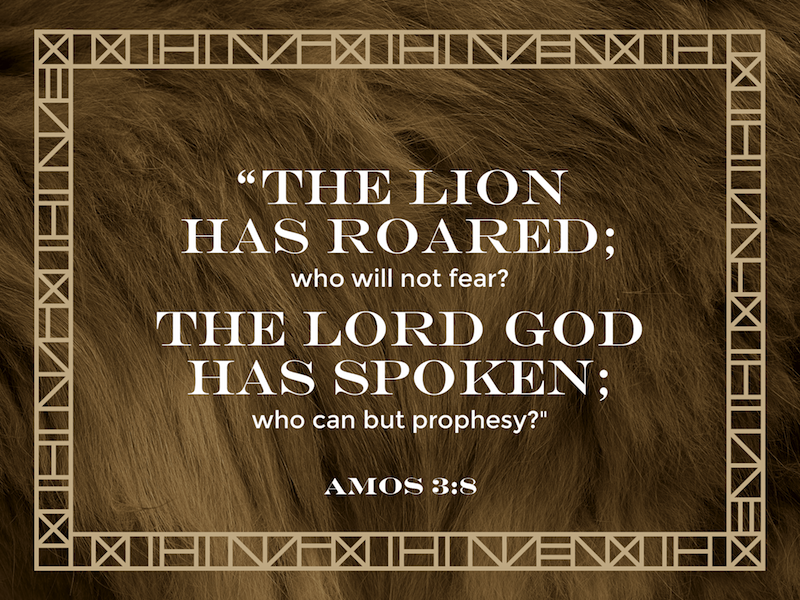 Often we make this idea more complicated than it should be, but the work of the prophets and the early church demonstrate otherwise: Amos continued to tell of a fate that indeed came to pass, much of it in his lifetime. Philip took that desert road and led an Ethiopian man to Jesus. There is great, enduring hope for us to be part of God’s work if we’re willing to seek His will, listen, and act in faith. What does God wish for you to know today? This article was originally posted in Connect the Testaments: A One-Year Daily Devotional with Bible Reading Plan. John D. Barry is the CEO and founder of Jesus’ Economy, a nonprofit dedicated to creating jobs and churches in the developing world. To empower the extreme poor, Jesus’ Economy also has an online fair trade shop. John is also the general editor of Faithlife Study Bible and the former editor-in-chief of Bible Study Magazine. Learn more about John’s work with Jesus’ Economy at www.jesuseconomy.org.